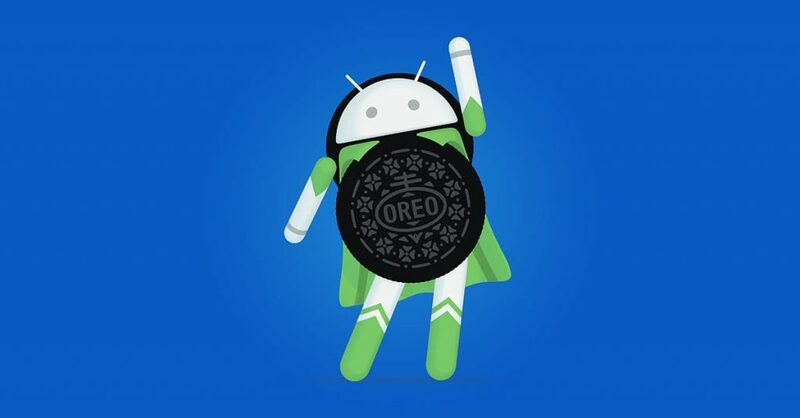 Android 8 Oreo is Google’s latest version of the Android OS and HMD Global is currently rolling out and Beta Oreo update for their current lineup of Nokia devices that came with Android Nougat preinstalled. HMD uses “pure” Android on its Nokia devices, meaning Android without any (bigger) customization made by manufacturer. Pure Android, apart from a simpler UI and faster performance, also allows HMD to keep their devices up to date much easier. A downside of pure Android is lack of some feature apps other Android manufacturers install on their device as standard, but users can freely install a 3rd party app from Play Store if they want. With Oreo, Google brings a lot of under the hood and visible improvements to users. We want go into the improvements on the system level, but rather on the most visible new features. For a deeper dive into Oreo, I would recommend a detailed article about it over at Android Authority. Our overview follows down below. Probably the feature of Android Oreo on Nokia 5 I like the most is Ambient display. This feature wakes up the display when a notification arrives. The “wake up screen” looks like old Glance screen found at Nokia Lumia devices. For about 5 seconds, the clock and notification appear on the lock screen. Depending on your security settings, you can view and interact with the notification right from the “ambient display”. Double tapping opens the notification and, if app supports it, quick reply is also available. This feature compensates (in part) for the lack of real Glance screen or a LED notification light, and it is a nice addition. There are no really personalization options for the Ambient Display, but it just works. With Oreo, Google also tried to improve the way we manage notification. Before, when users received a notification, the notification would appear in the notification center and a red dot with number of notifications would appear on the app’s icon. Now, there is no red dot with number of notifications, but a dot in the color of the app (Whatsapp green, Facebook blue, for example), and longpressing the icon you get the app shortcuts, that were available before, and the received notifications. I didn’t find myself using this feature a lot, but I see were it can be handy. 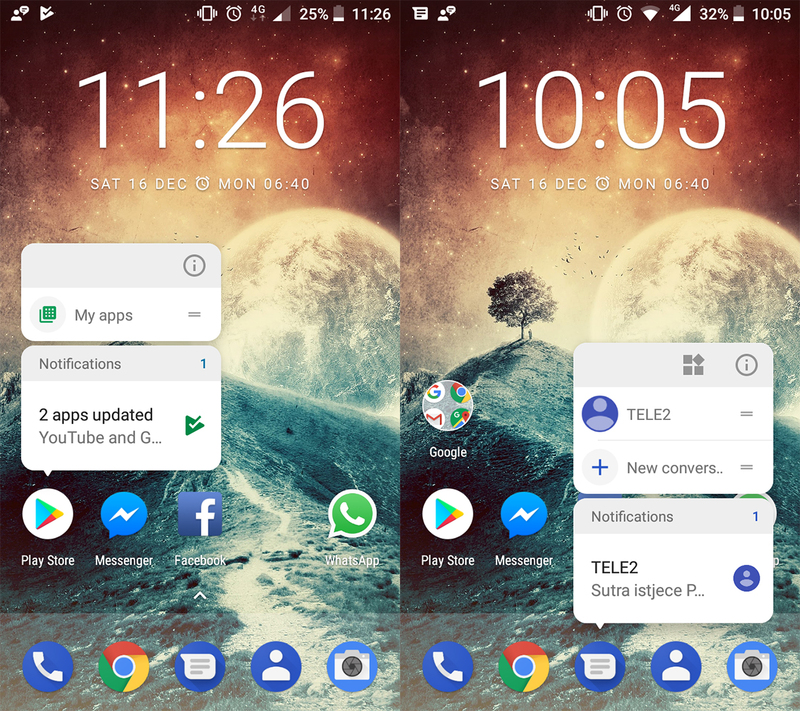 If you don’t like to reach out to the top to open the notification center for seeing new notifications, it will be more comfortable to have a easily reachable app icon that can be longpressed for seeing the notification. The UI of the notification dot isn’t as intuitive as someone might want it to be, but it’s a step forward to a way of easier notification management. I have to admit that Windows Live tiles still do the best job of displaying notification right after unlocking the screen, and maybe Google, with the next iteration of the OS, could take a step to making the icons more “alive”. 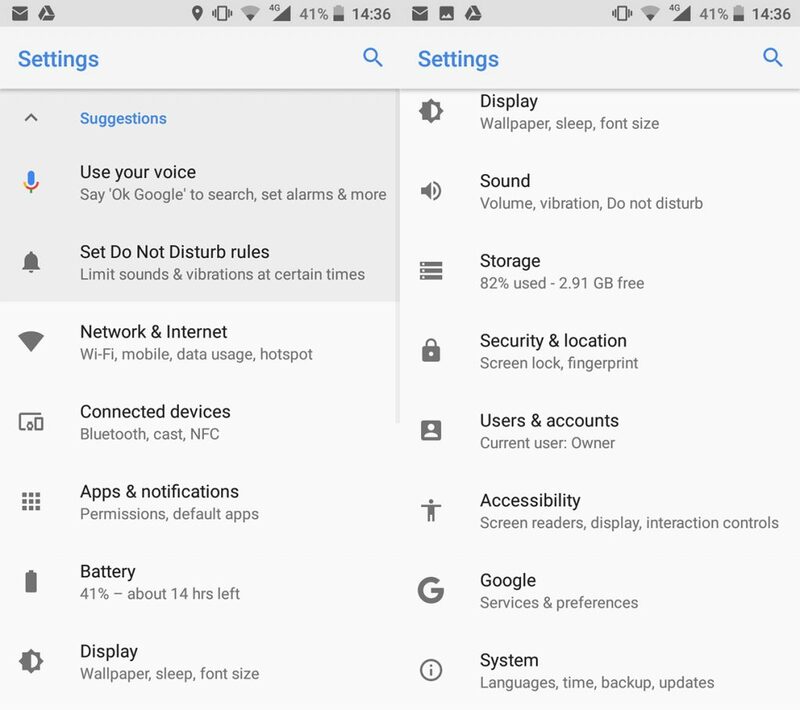 On Android Nougat, Google introduced “multi-window”. A feature that allows you to use 2 apps simultaneously on your phone’s screen. Picture in Picture is in my opinion a welcomed extension of that feature. Picture in picture basically creates a small “widget” of an app that floats above your display. This means that you could access and do anything in other apps, while the PiP app floats above the things you do on the phone. For PiP mode, app developers have to enable it and optimize their apps for it. I use it mostly while watching a non-YouTube video in Google Chrome. While watching the video, I just press the home button and the app minimizes into a small windows that keeps displaying the content. You can use this with the YouTube app, too, but YouTube Red subscription is needed. Another major “improvement”, or better to say change compared to Nougat, happened in Settings. The Settings pages are completely redesigned and re-ordered, too. It took few days to get use to it after using Nougat, but now I can say that I visually like it more than the one on Nougat. 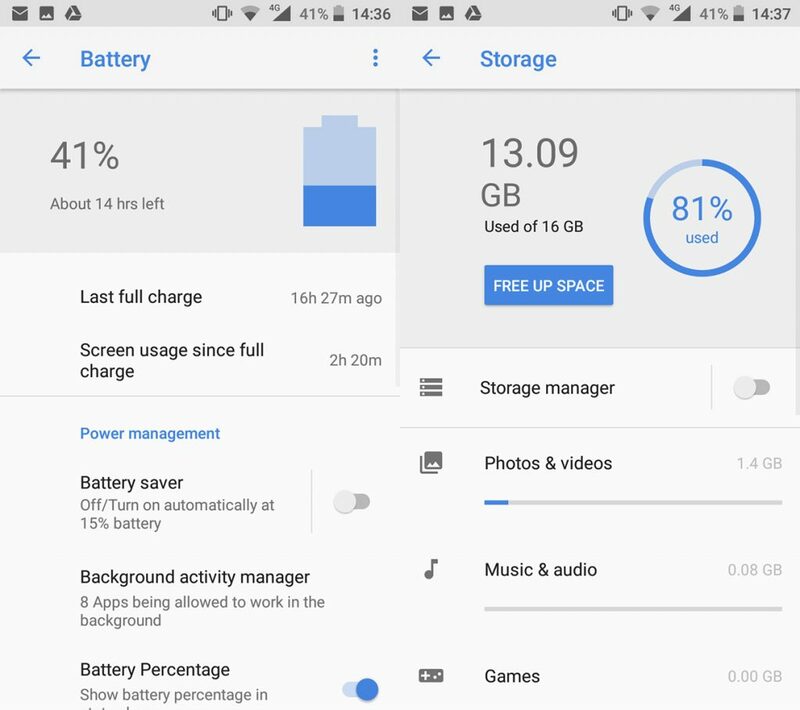 Google included some new features in the settings, so now you can put a battery percentage in the status bar (hurray), but they removed the section were users could check the RAM usage on the phone. For seeing RAM usage, you now have to use HMD’s Nokia Support app and the “Device Monitor” feature. 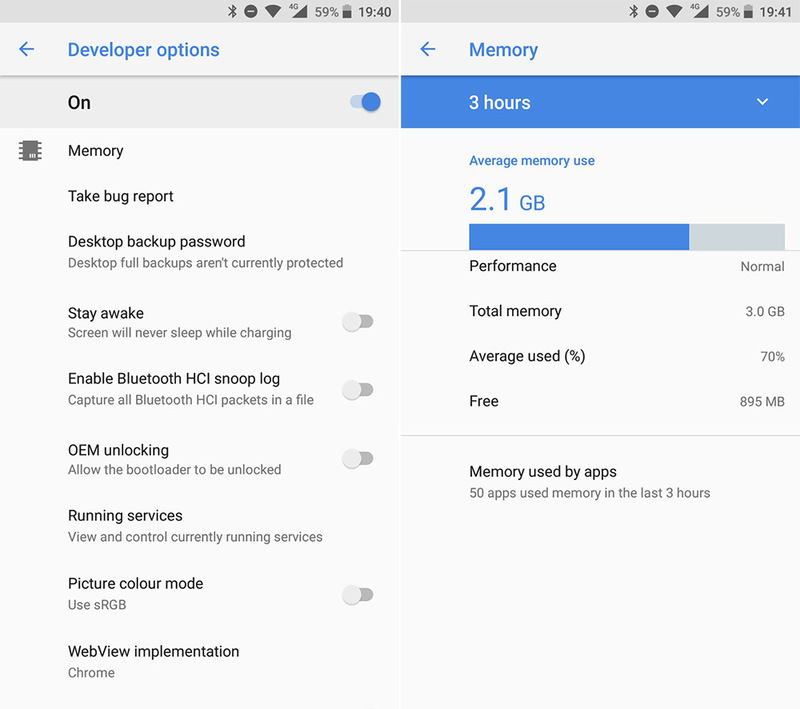 *Update* We found the Memory app, or the RAM usage. It is now placed in developer options. I didn’t notice any other important changes in the Settings, but if you did, freely leave it in the comments down below. 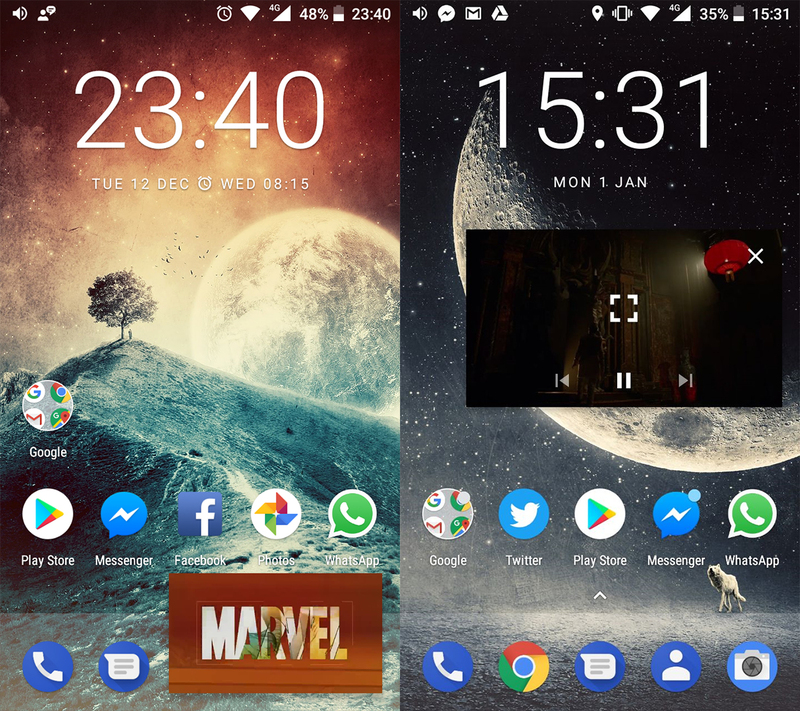 From other features I think it’s worthy to mention the ability to change icon shape. For those missing Symbian or MeeGo (honestly, who doesn’t 😉), you can set the icon shape to “Squircle” and get hit a little by nostalgia. Oreo also includes night light, a feature that dims and changes the color tone of the display for easier usage late at night. 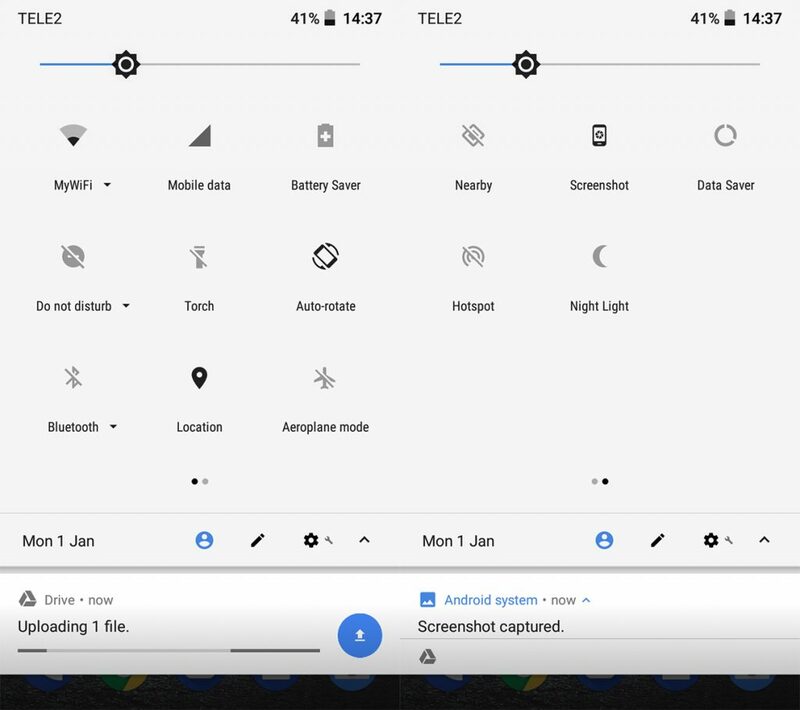 It’s harder to fall asleep after staring at a bright screen late and night, and this feature should help users the easier fell asleep after using their phones. 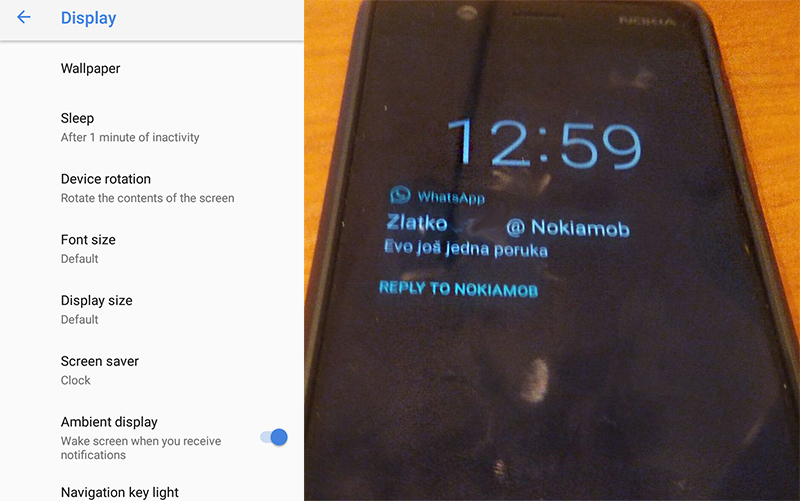 A little editor’s note to conclude, the above mentioned features were tested and can be find on a Nokia 5 running Oreo (Beta, at the moment). We really don’t if all the features, and I think about PiP mostly, will be available for Nokia 3 or Nokia 2, because of the limited hardware. 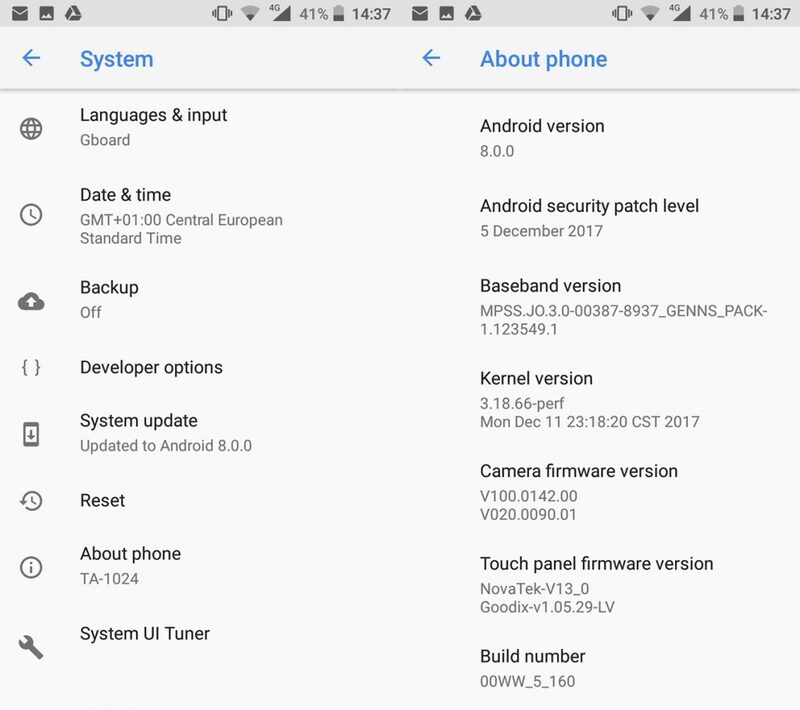 Also, Nokia 7 or 8 users may also have some addition hardware specific features that Android Oreo brought.